on page 411 that images, also many facilities symbols. 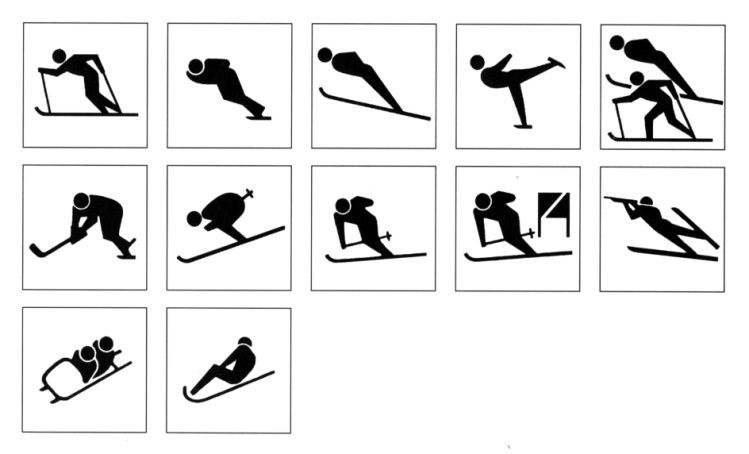 depict winter sports. Mr. Yoshiro Yamashita was chosen as the artist.